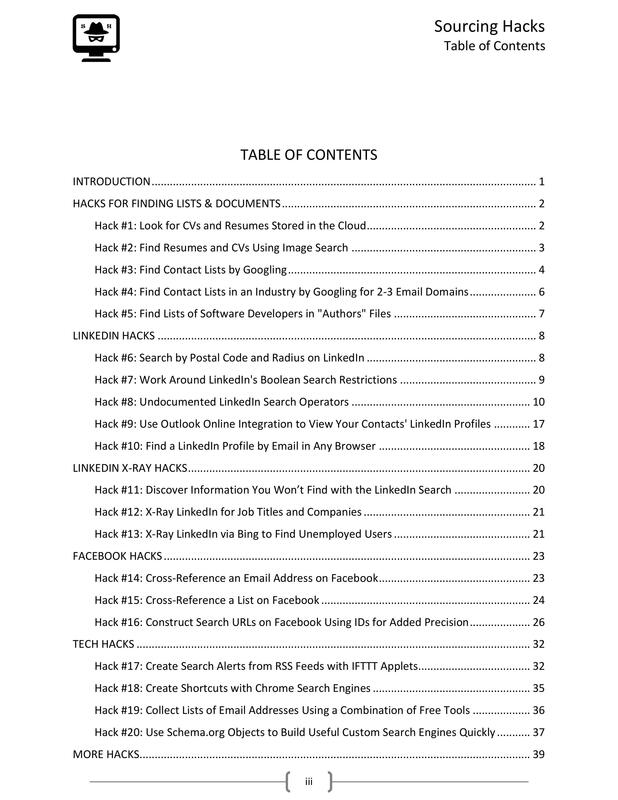 The Sourcing Hacks book is published in electronic (PDF) format, and contains a collection of hacks, applicable to searching in any locations and industries. 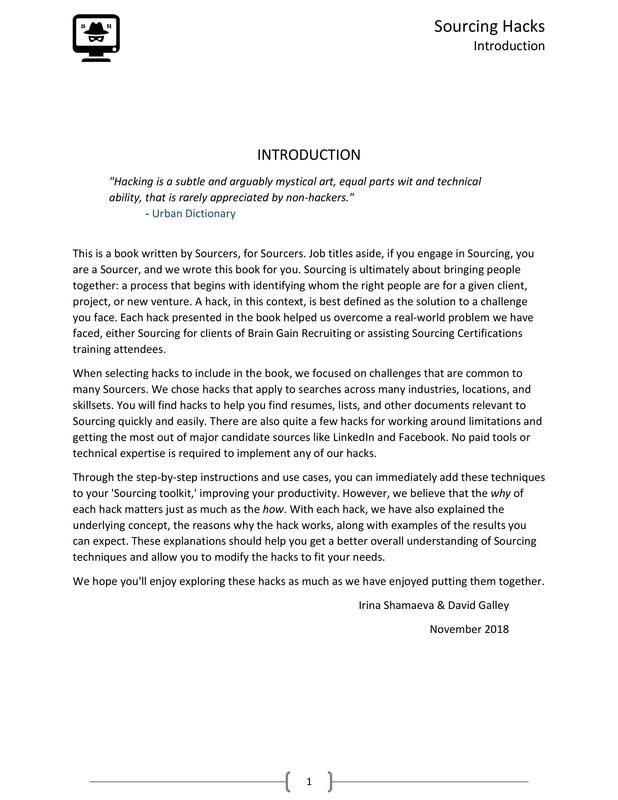 You can instantly enrich your Sourcing Toolbox with the hacks and improve your productivity. 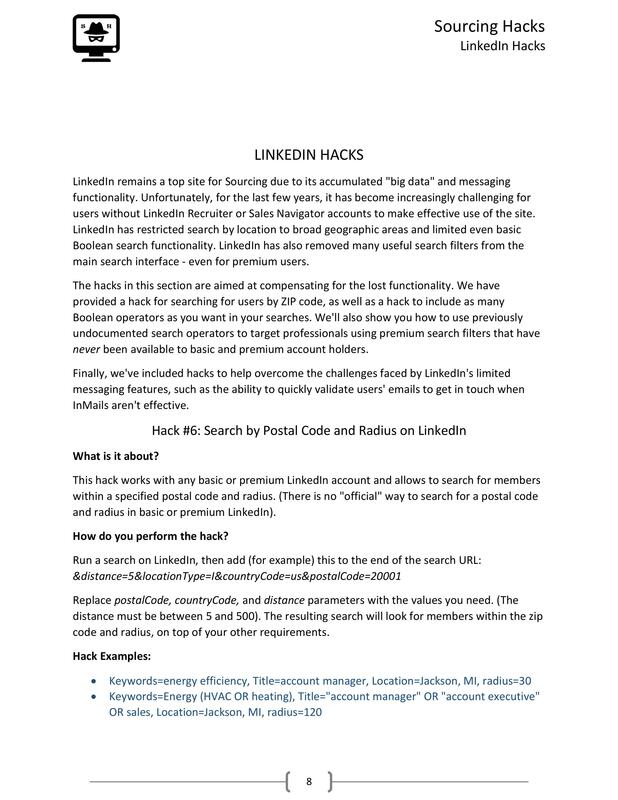 With each hack, we are providing not only links and steps for running the hack, but also the underlying concept, reasons why it works, and practical examples of applying (complete with clickable examples for search hacks). 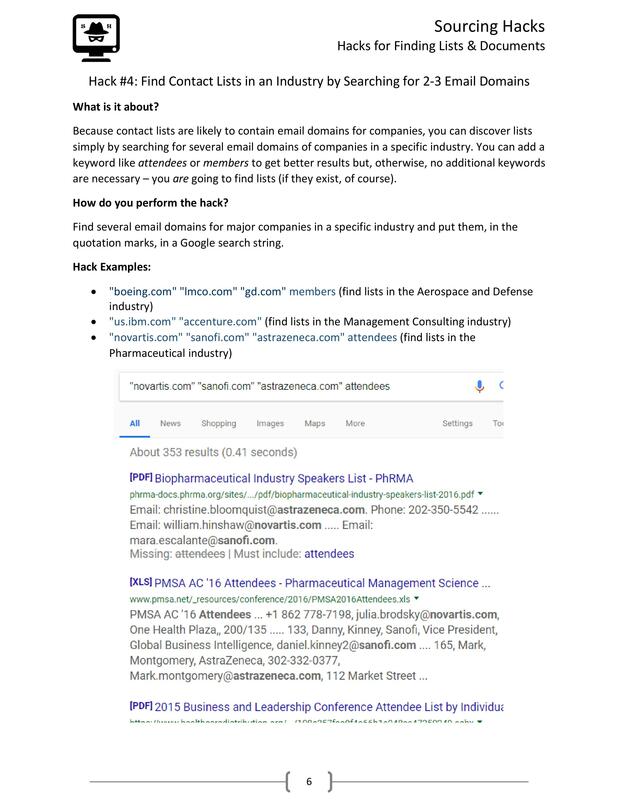 The explanations should help you to modify the hacks to fit your needs and get a better overall understanding of how and why Sourcing techniques work the way they do. 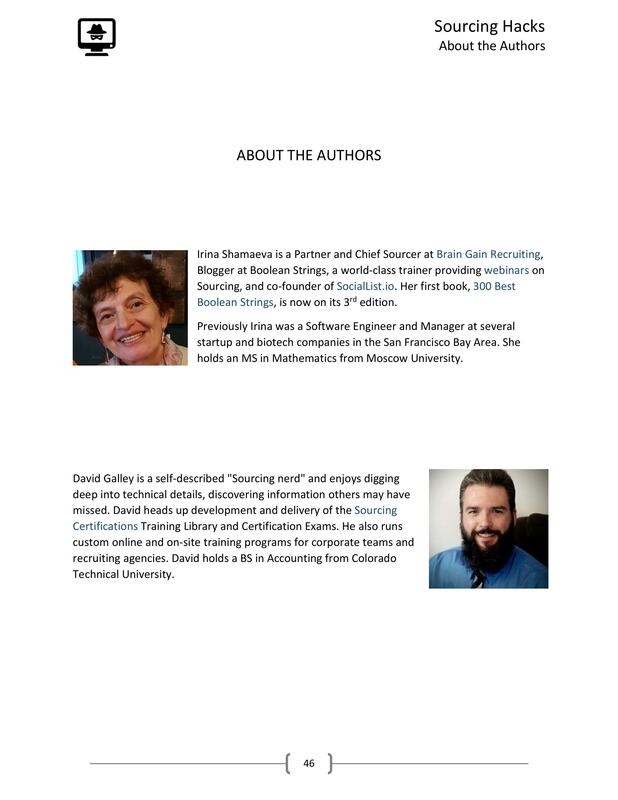 We have gathered this material while hands-on sourcing for our clients at Brain Gain Recruiting and teaching Sourcers and Recruiters in our online classes. After providing payment, you will receive instructions for downloading the ebook via email within one business day. All communications will be sent to the email provided during checkout.